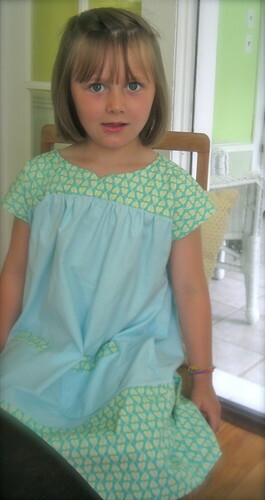 I have had the Oliver + S Ice Cream Dress Pattern since it came out, and it has been sitting in my pile of things to do. So I joined The Ice Cream Social, and decided now was as good a time as any! I made this dress cut to finish in about 5 hours, it is pretty easy, especially if you are familiar with reading patterns and constructing dresses. It also gave me a great excuse to learn to use a new attachment for my singer featherweight. The multi-slotted binder attachment with guide pins (picture from April1930.com: my go to for singer attachments) came from my grandmother with my machine, and it always looked so menacing. I used it to finish the inside seams with binding tape, and it worked really well (after an initial getting used to). Now there will be no fraying seams. The final dress is really cute and M loves it! 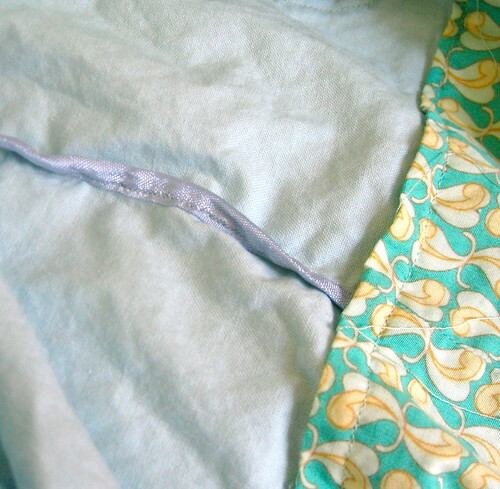 I used "Hug Snug" Seam Binding which comes in a multitude of colors. I found it at the FIT bookstore on 27th Street in NYC, which is a great place to check out the next time you are in the city. As for washing it went through the washer and dryer perfectly and the tomato came off. Funny thing we are going to an Ice Cream Social tonight, maybe M will wear it! she is so beautiful, and i love the dress!! How darling. Good job! She is adorable. I've never heard of, or seen this attachment. I would have liked to see a photo of the inside seam.